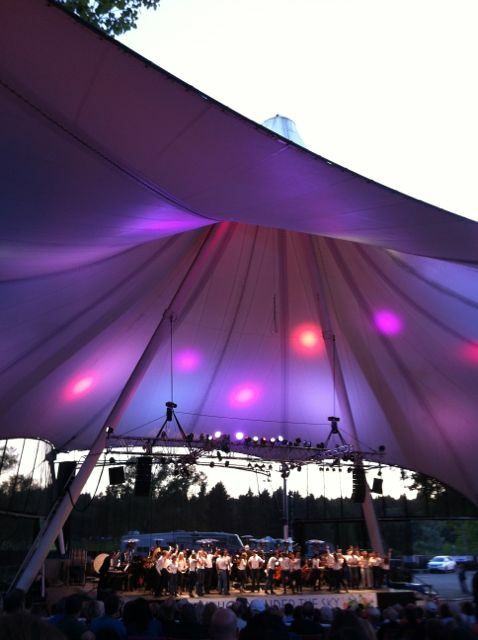 The Symphony Under the Sky Festival changes mood throughout an entire concert. It is due, in part, to the natural lighting cues at Hawrelak Park. Take, for example, the effervescent and joyous beginning of Mozart's Eine Kleine Natchmusik. It is paired perfectly with the warm glow of the late afternoon. 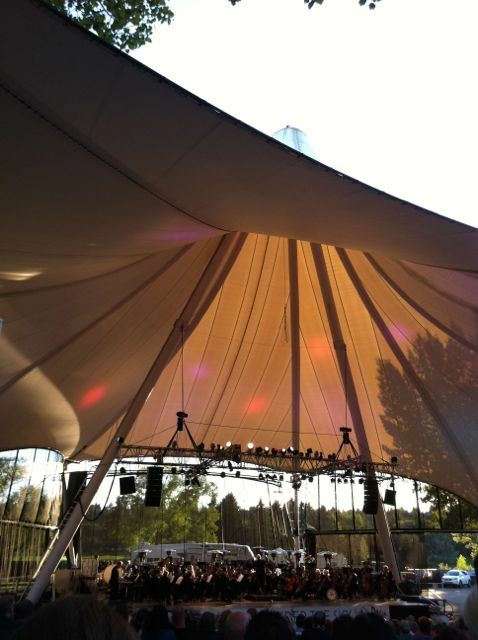 Birds flying overhead cast shadows on the white tent canopy, a natural compliment to the music. 08 Hess Ladies In Lavender - Main Theme by Decca Records There is also that point where afternoon transitions into evening and the veil of night's intimacy emerges. New ESO concertmaster, Robert Uchida, played his soloistic lines with full lyrical extension, evident from the tip of his toes to his bow. As the evening completes it dark descent, it provides the perfect contrast for all the glitz and shine of Broadway. 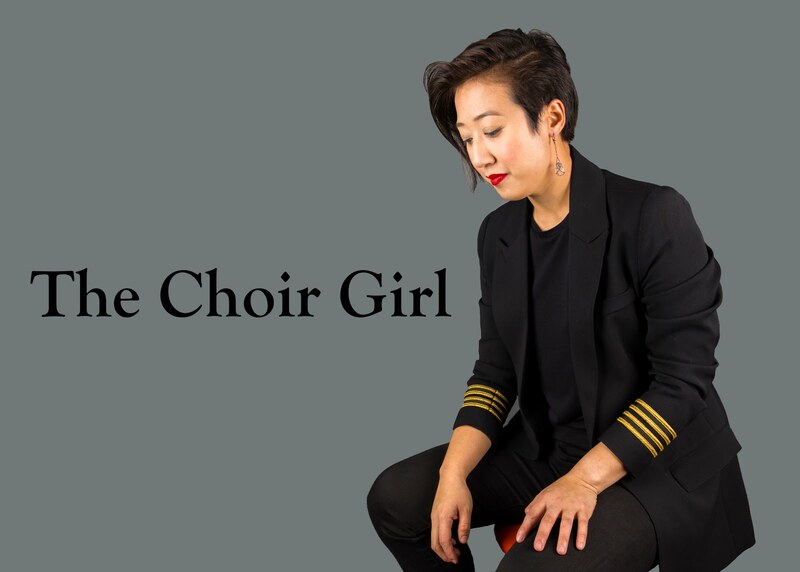 The Strathcona Theatre Company completed the show with mega-watt energy, tap dancing, and belted vocals with tunes from Cole Porter's Anything Goes. 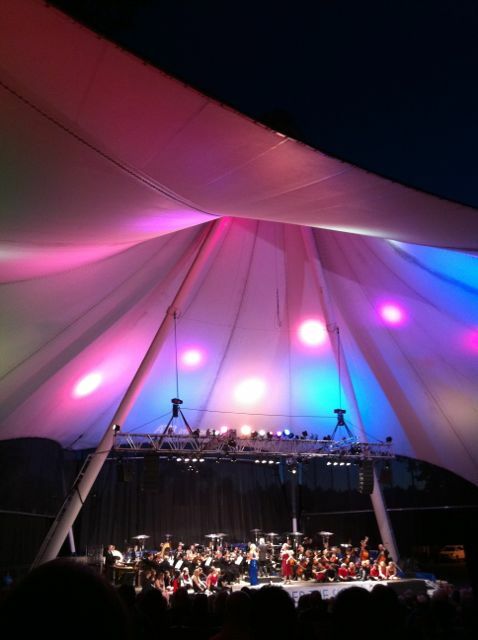 Mother Nature serves as a skilled lighting technician when it comes to lighting the mood at Symphony Under the Sky. Cross-posted on The Sound + Noise.